The MA in Contemporary Faith and Belief will enable you to join a timely debate about the role of faith and belief in the contemporary world. The MA in Contemporary Faith and Belief is an Anglia Ruskin University degree created and taught by the Cambridge Theological Federation. 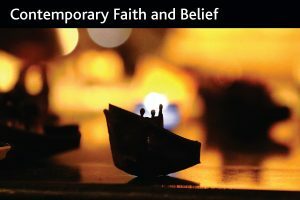 There is further detailed information, including costs and a list of the modules offered, on the MA in Contemporary Faith and Belief page of the Cambridge Theological Federation website.